I have tried all of the Volatility profiles and none of them work. What does the string in the volatility profile after the 10_11_6_ mean, and how do I find it for my machine? That string is the macOS build number. If you click on "10.11.6" in the About-box in your screenshot, it will be revealed right next to the version number. You can also run sw_vers to get easy build / version / marketing information from the command line. Not the answer you're looking for? 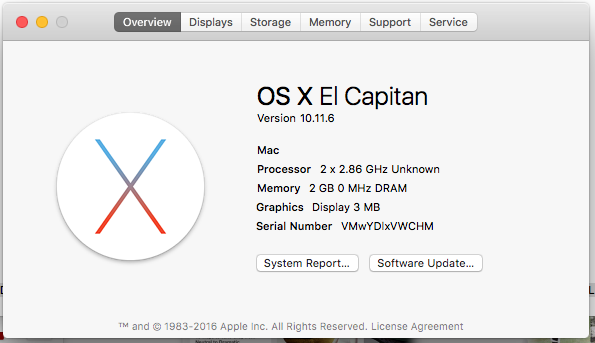 Browse other questions tagged security memory macos . Using memory with a higher MHz rating?